Discover ways to show students how the themes present in The Crucible continue to have social relevance. Court is in session: Learn everything you need to know about Monster with this free guide! If you need material for a lesson plan on dystopian societies or feminism, teach Margaret Atwood’s novel in your classroom. Explore the difference between fate and free will by teaching Macbeth in your classroom. George Orwell’s prophetic novel will foster discussions about politics, society, and the role of technology. Sherman Alexie’s award-winning novel will spark great discussions on identity, bullying, and education. Teaching Mark Twain’s most important work is simple with our free guide. The Adventures of Tom Sawyer is a children’s literature classic, embodying Mark Twain’s well-known wit and sharp humor. This inspirational tale about following one's dreams is sure to provide students with an uplifting perspective on life. All Quiet on the Western Front will invite discussion on the effects of nationalism and disillusionment. Explore themes of justice, deception, and isolation in Agatha Christie’s famous mystery novel. Consider teaching Frank McCourt’s poignant memoir that details a family’s struggles with poverty in 1930s-1940s Ireland. This book will help readers understand how prejudice and hate can lead to violent oppression and unthinkable brutality. Learn how to teach the allegorical themes present in George Orwell’s iconic novella. The third of Sophocles’ Theban plays, Antigone is a tragedy that examines governmental authority and moral responsibility. The Autobiography of Malcolm X presents the incredible tale of Malcolm X's struggle for equality and civil justice. Kate Chopin’s most famous work is a powerful examination of gender roles and society in the 19th-century American South. Spook and delight your students by teaching Toni Morrison’s novel Beloved. Use this epic to examine the traits of heroes and monsters and introduce students to Old English works. Poe's stories and poems will both fulfill your English Language arts needs and captivate your students along the way. Richard Wright’s eloquent account of his life in the Jim Crow South makes a great addition to any unit on autobiographies. Explore universal themes of fear and revenge in Rudolfo Anaya's coming-of-age novel. Learn how to teach the complicated themes of race and beauty standards in Toni Morrison’s timeless novel. Find out why Markus Zusak’s bestseller is quickly becoming one of the most popular novels in English classrooms. Show your students how friendship can cross all boundaries through John Boyne’s moving novel about the Holocaust. Students will love reading about Huxley’s vision of a dystopian society set in an eerily believable future. Buck’s canine adventure in the Yukon is a fun way to teach students about the American frontier and literary naturalism. Learn how to teach The Catcher in the Rye, a classic novel that captures what it’s like to be a teenager. Rumor has it that students who love true crime or telenovelas delight in studying this book in the classroom. Teach your students about the power of empathy through Charles Dickens’s classic novella, A Christmas Carol. Show your students a multitude of literary elements and devices through this anthology of American short stories. Alan Paton presents a story about fathers and sons, human nature, and the societal problems that led to apartheid. Mark Haddon’s mystery novel presents a fantastic opportunity to discuss the role of the narrator in fiction. Have your students learn about the importance of stage directions and dialogue through Arthur Miller’s tragic play. The Devil in the White City will fascinate students as it weaves history and entertainment together. Examine ideas about society and class, governmental control, and the construction of identity by teaching Divergent. A Doll's House critiques the expectations of women, the importance of money, and the need for individual freedom. Bram Stoker’s famous work introduces students to Gothic fiction and the format of an epistolary novel. By reading Edith Hamilton’s Mythology, students will see how ancient myths remain relevant to modern storytelling. Ender’s Game is a modern science-fiction classic, perfect for discussion of governmental and military ethics. This work of post-9/11 literature tells a story about dealing with grief, existential dread, and alienation. Help students decipher the figurative language, symbolism, and imagery within Ray Bradbury's famous dystopian novel. Consider teaching this nonfiction memoir for its messages on identity, racial prejudice, and the loss of innocence. Examine Eric Schlosser’s exposé on American fast food culture that will definitely spark classroom discussion. John Green’s popular novel presents a compelling story and dares to tackle themes of fate, love, and death. Fences examines historic racism in America and explores the themes of family, gender roles, and responsibility. Set during Philadelphia’s yellow fever epidemic, Fever, 1793 is a great novel to pair with a science or history lesson. 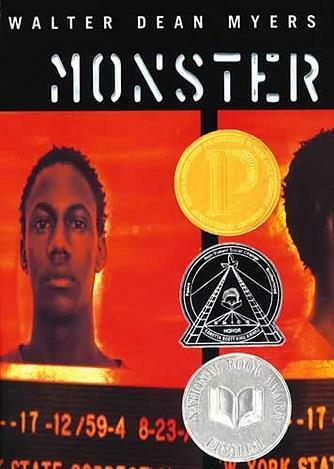 This inspiring novel provides excellent content to learn about foreshadowing and symbolism. Explore the consequences of social alienation and ambition in Mary Shelley’s classic horror story, Frankenstein. Have your students build critical-thinking skills as they learn about economic theory and its applications in Freakonomics. The Freedom Writers Diary makes a great nonfiction text for teaching students the benefits of personal writing. Friday Night Lights takes a close look at the various social and psychological issues that arise in sports culture. Discover new ways for your students to explore complex themes in Lois Lowry’s acclaimed dystopian tale, The Giver. Help students understand the many differences between memoir and autobiography by teaching The Glass Castle. One of Tennessee Williams’s finest plays, The Glass Menagerie is the perfect medium for discussing symbolism. The Grapes of Wrath provides a great opportunity to learn about the devastating circumstances of the Dust Bowl. Neil Gaiman's The Graveyard Book blends folklore and legends with Gothic, horror, and mystery genres. Charles Dickens’s classic novel unfolds the journey of one ambitious orphan’s remarkable personal growth. Learn how to analyze and discuss Fitzgerald's depiction of the American Dream in The Great Gatsby. John Gardner’s classic retelling of one of literature’s most famous villains is a fantastic companion to Beowulf. Use Hamlet’s key themes as a basis for classroom discussion on justice, mortality, revenge, deception, and family. Students will love the wilderness adventure story present in Gary Paulsen’s award-winning Hatchet. Interesting juxtapositions and historical context make Conrad’s novella a great choice for the classroom. Learn how to teach The Help, a book that takes on racism and sexism in 1960s Mississippi. Teaching Hersey’s journalistic book opens up conversation about both past and present warfare and violence in the world. Introduce students to varying aspects of the modern fantasy genre with this guide to teaching The Hobbit. The House of the Scorpion blends science fiction and dystopian fiction into one story your students won’t forget. Spark insightful discussions about race, poverty, and gender roles through this coming-of-age story. Get everything you need to know about teaching The Hunger Games—a perfect introduction to young adult dystopian fiction. Help your students experience the power of words by checking out our free guide to teaching I Am Malala! Have your students examine the interaction between medicine, race, and class with this nonfiction title. Oscar Wilde’s humorous play offers valuable lessons on satire, puns, and irony. Gripping social analysis and a look into the criminal justice system make In Cold Blood a great nonfiction title to teach. Start conversations about the advantages and flaws of modern society, consumerism, and naturalism with Into the Wild. Inspire discussions about perseverance, motivation, and the dangers of commercialization by teaching Into Thin Air. Invisible Man examines the neglectful relationship between African Americans and society in the 1930s. This classic examines class and gender dynamics during the Victorian era and is often viewed as a proto-feminist work. The Joy Luck Club portrays mother-daughter relationships and the complex dual identities of Chinese Americans. Teach students about real historical events while they enjoy the story of the struggle to seize power over Rome. The tragedy of King Lear is an impressive exploration of power, family, justice, and gender. The Kite Runner is perfect for cross-curricular studies in history and social studies classes. Randy Pausch’s memoir is a great choice for any nonfiction unit because of its inspiring content and strong themes. Race, inequality, and education are just some of the themes students will encounter in A Lesson Before Dying. Life of Pi by Yann Martel is sure to spark discussions about the role of spirituality, nature, reality, and growth. Students will love following and analyzing teenage demigod Percy Jackson in his role as a hero. C.S. Lewis’s allegorical tale is perfect for discussing the roles of good and evil and the power of redemption. Little Bee will surely start class discussions about globalization and ways we can better protect the innocent. A Long Walk to Water presents a dual narrative that tackles the political and social issues that exist in Sudan. Ishmael Beah’s memoir will give students insight into one of the most important human rights issues in our world today. Lord of the Flies will provoke thoughtful discussions about the dark side of human nature, loss of innocence, and survival. Consider teaching The Lovely Bones for its commentary on mortality, spirituality, and the afterlife. Explore the differences between fate and free will by teaching Macbeth in your classroom. Learn how you can introduce your class to the tremendous power and rich symbolism found in Maus I, a graphic novel. Have your students examine the conflicts of man vs. man and man vs. society in The Maze Runner. Jojo Moyes’s quirky romantic novel will challenge students to think about life, love, and personal growth. Vagueness and intrigue found throughout the text make Franz Kafka’s allegory perfect to dissect in a classroom. This Shakespeare play provides a lighthearted introduction to Elizabethan theater and its literary and social conventions. The final book in The Hunger Games trilogy, Mockingjay questions the justifications surrounding war and rebellion. Kimberly Willis Holt’s acclaimed novel explores universal themes of self-confidence and acceptance. An essential American work, Frederick Douglass’s narrative explores themes of freedom, race, and education. Haunting and intense, Elie Wiesel’s Night presents powerful lessons on survival, faith, and the human condition. Lowry’s award-winning novel depicts the Nazi occupation of Denmark in a manner appropriate for a younger audience. Examine a variety of literary techniques, including symbolism, foreshadowing, and allusion, within Homer’s timeless epic. The universal themes of guilt, sorrow, justice, and family make this otherwise-daunting text accessible. Spark discussions on isolation, nature, friendship, and the American Dream by teaching Steinbeck’s naturalist story. Short but sweet, Ernest Hemingway’s classic novella is as approachable as it is significant to English literature. Use Ken Kesey’s novel to learn about different narrative styles and the importance of mental health treatment. One Hundred Years of Solitude is the perfect introduction to magical realism and Latin American literature. This historical novel raises intriguing questions about identity and society’s demand for assimilation. The incidents of jealousy, betrayal, and manipulation in Othello make the play a great addition to any syllabus. Following the lives of two men with the same name, The Other Wes Moore presents lessons on nature versus nurture. Learn about the important academic components of Thornton Wilder’s classic play within a play. Read about how Outliers, which details the factors that influence success, would be a great addition to any syllabus. Inspire classroom discussions on identity and class by teaching S. E. Hinton’s classic young adult novel. John Steinbeck's enduring parable warns of the corrupting nature of wealth and the destructiveness of greed. Stephen Chbosky’s epistolary novel is a great study on how structure and perspective affect a narrator’s reliability. Encourage students to consider how images and text work together to form a narrative with Marjane Satrapi’s Persepolis. Oscar Wilde's beautifully written novel is a great way to introduce students to Aestheticism and Gothic horror. Consider teaching The Poisonwood Bible for its themes of family, gender roles, religion, and political turmoil. Jane Austen’s enduring story critiques love, marriage, reputation, class, and social intrigue. George Bernard Shaw’s witty play provides many lessons on humor, sarcasm, and irony. Learn how to discuss and examine the important social issues presented in A Raisin in the Sun. Use Azar Nafisi’s moving memoir to teach students about Iranian history and the importance of books and fiction. If you’re thinking of adding The Road to your dystopian unit, explore its major themes, literary elements, and more. Roll of Thunder, Hear My Cry makes the perfect book to encourage open conversations about racism and tolerance. This classic tragedy about two star-crossed lovers makes the perfect introduction to Shakespeare’s works. Both an Absurdist drama and an example of metatheatre, this play presents a novel retelling of Hamlet. Learn how to tackle Nathaniel Hawthorne’s Romantic classic with this guide to teaching The Scarlet Letter. Sue Monk Kidd’s coming-of-age novel examines the Civil Rights Movement, family, and the power of female friendships. Consider teaching A Separate Peace for its strong examples of narrative perspective and use of foil characters. Introduce students to Eastern philosophy with this inspiring tale of perseverance and spiritual enlightenment. This novel explores fate and free will and the effects of war in a work that is equal parts absurd, hilarious, and sad. Laurie Halse Anderson’s story of isolation, grief, and hope provides lessons on symbolism and character development. The Strange Case of Dr. Jekyll and Mr. Hyde makes for great lessons on how societal expectations help shape individuals. Albert Camus’s magnum opus is sure to engage the classroom and lead to deep discussions about what it means to be human. A Streetcar Named Desire offers great opportunities to discuss class, gender identity, and the importance of appearance. This classic work of the Lost Generation examines the effects of World War I on those who came of age during that time. Charles Dickens’s novel illustrates the simultaneous hope and despair that revolutionary times bring. The Taming of the Shrew will surely spark class discussion on marriage and the treatment and role of women. Use Tangerine to introduce the journal narrative and create a platform for discussion of social and familial issues. Students will love Tears of a Tiger for its relatable characters and honest portrayal of teenage angst and depression. Learn how to relate the themes present in Zora Neale Hurston’s novel to modern personal and societal problems. This nonfiction work humanizes the problems many children across the United States experience on a daily basis. Identify essential objectives and examine themes, motifs, and literary elements within Chinua Achebe’s novel Things Fall Apart. Explore deeper meanings, new perspectives, and important literary elements in Tim O’Brien’s The Things They Carried. A Thousand Splendid Suns will inspire conversations about the roles of tradition and freedom amid a changing society. To Kill a Mockingbird provides a vehicle for discussions about racial injustice and the struggle between good and evil. Teaching Transcendentalism will provide the perfect introduction to one of the world’s most influential philosophies. If you're trying to expand the nonfiction you teach, consider Tuesdays with Morrie, a truly thought-provoking memoir. Have your students take a look into the United States' judicial system with Reginald Rose's Twelve Angry Men. Help your students understand a crucial event in American history by teaching Melba Pattillo Beals’s harrowing memoir. Learn ways to discuss how Wonderstruck's visual format helps influence the story's interpretation. Emily Brontё’s use of literary techniques and Romantic elements in Wuthering Heights make for an intricate and exciting tale.